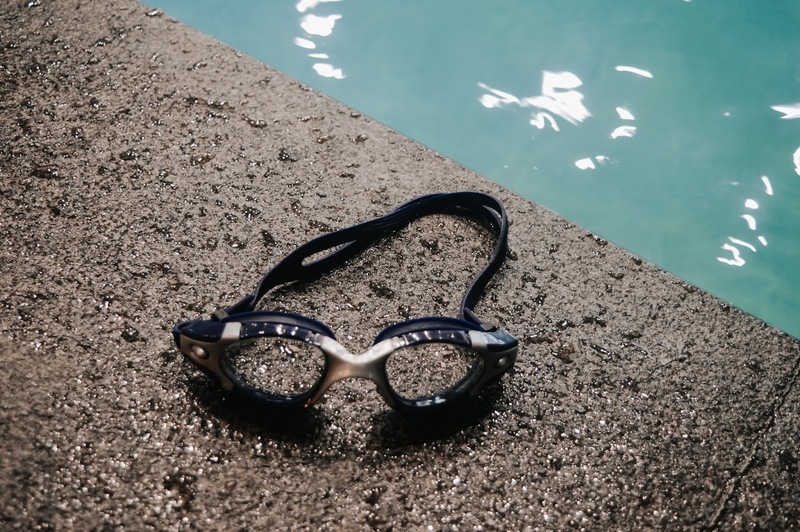 According to a study, when an adult doesn't learn to swim at an early age, there's a possibility of developing a fear of swimming that can make learning to swim later in life a challenge. 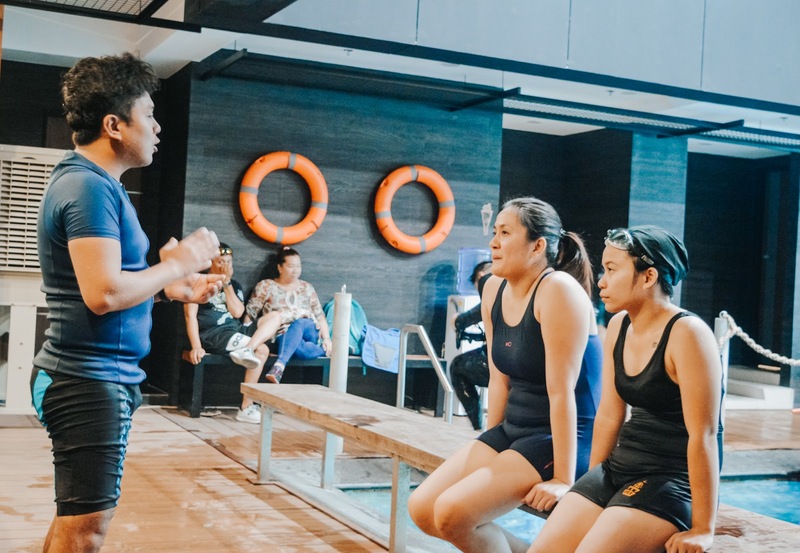 For many adults who don't know how to swim, there's a feeling of fear, shame and uncertainty often get in the way of signing up for swimming lessons. If you feel like this, you are not alone, I'm one of them (before). I always tell to myself and friends, it's never too late to learn to swim! Swim Central offers adult swim lessons established in 2015. 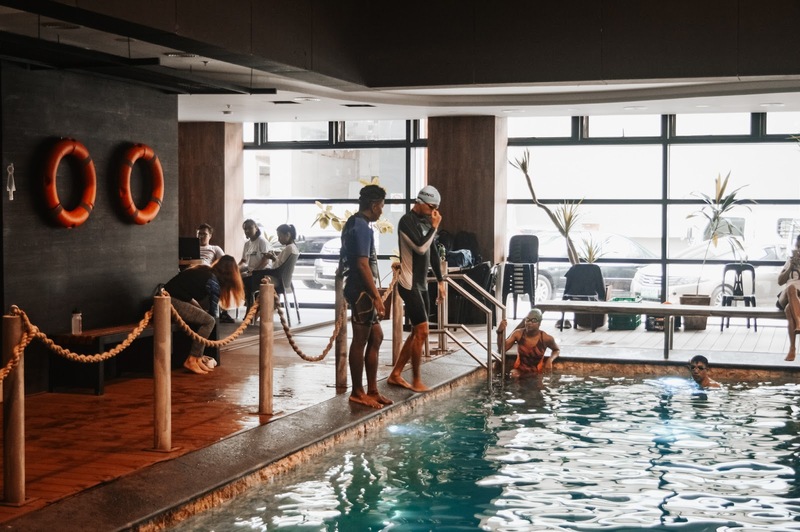 Designed for adults with little or no prior swim lesson experience, their program gives adult swimmers at every level the opportunity to learn how to swim and to improve their swimming skills in a safe environment – and under the guidance of experienced coaches. 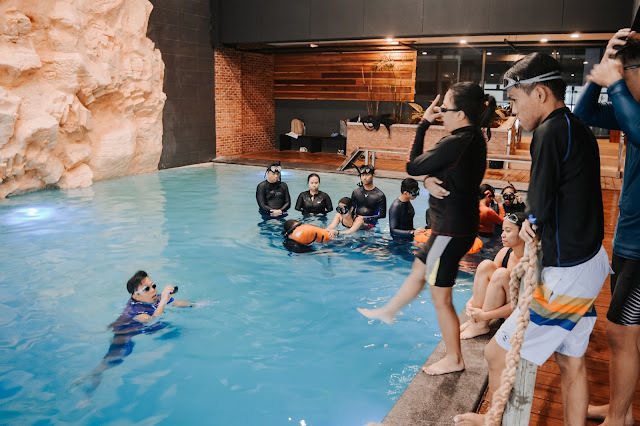 The program includes basic swimming, basic free diving and survival swimming. 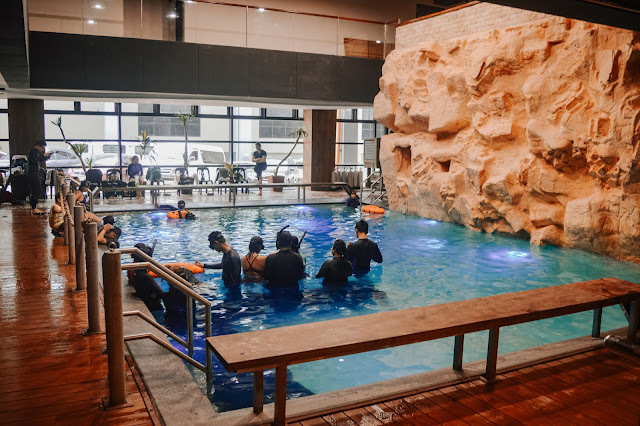 It will allow adult swimmers to develop confidence, to learn several swimming strokes, to learn to survive in deep water and becoming comfortable in the water. Last week, I finally got a time to attend Swim Central's swimming lesson. The venue was in The Upper Deck Plunge Dive Pool in Ortigas, the newest sport center in Metro Manila. The swimming pool provides a sloped floor which goes from 4-feet, 6-feet to 16-feet in depth. 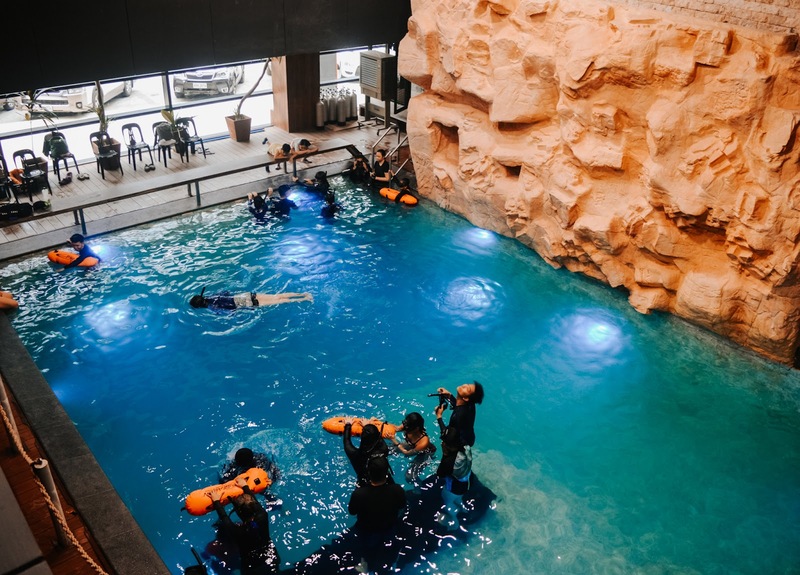 It's a perfect pool for swimming classes especially for free diving lessons. The session was started with a short briefing with coach Macky. He discussed the agenda for the day, the do's and don't while in the swimming pool and some swimming techniques. Coach Macky was able to deliver all the information in a very light, fun and interactive conversation. There's no dull moment at all. He's a nice and cool coach. 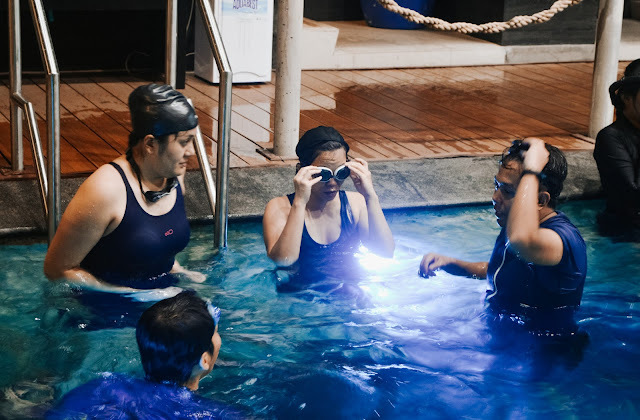 This is not the first time I joined in a swimming class. 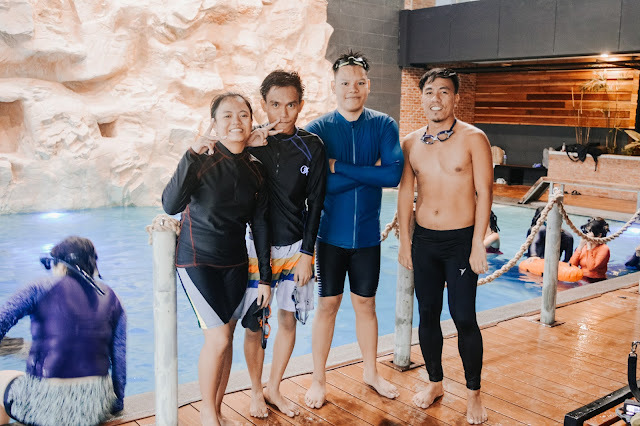 I think two years ago I joined a group in Ateneo De Manila to learn basic swimming. Yes, I learned the basic like the proper breathing, floating and different kind of strokes, but I'm still afraid in water. Maybe because our training was just in a 5 feet swimming pool and we don't get a chance to swim in deep water. Coach Macky told us to get in the pool and do the breathing. Damn! The water was really cold. We submerged our face and body and started humming, blowing through our nose. It's been a long time I did this activity. After blowing bubbles (through our nose) under the water, we practiced survival float. I'm still not good in floating. There're times my face submerged into water. I think I need to be relax and to breath properly. Good thing Coach Macky was very helpful. His patience was superb! He taught us each step allowing us the time to become comfortable before moving on. We learned different kinds of floating like jellyfish float. Our position looks like a jellyfish bobbing in the water. The Jelly fish position is very helpful specially if you get muscle cramps. Coach Macky also taught us several legs and arm strokes. It's a little bit tough but the secret was to relax and control the breathing and proper positioning of the head. We moved to the deeper part of the pool. I'm a little bit scared but when I see a lot of coaches around the pool, I started to feel relax and becoming comfortable in water. There's still struggle but I'm almost getting my goal- to float freely in deep water without fear. The session was ended by jumping into the water. Honestly, I felt a little bit of fear. I don't have yet the 100% confidence that I can float in water. Good thing I was able to go up without the help of my coach and floated for a couple of minutes. Maybe the next session, I have more confidence to stay longer floating in the water. Learning how to swim is not just a sport, this will help you to survive in water in case there's unexpected circumstances while you’re traveling. It's truly an important life skill. Swimming also is an excellent form of exercise for people of any age. It improves our circulation, endurance and flexibility. 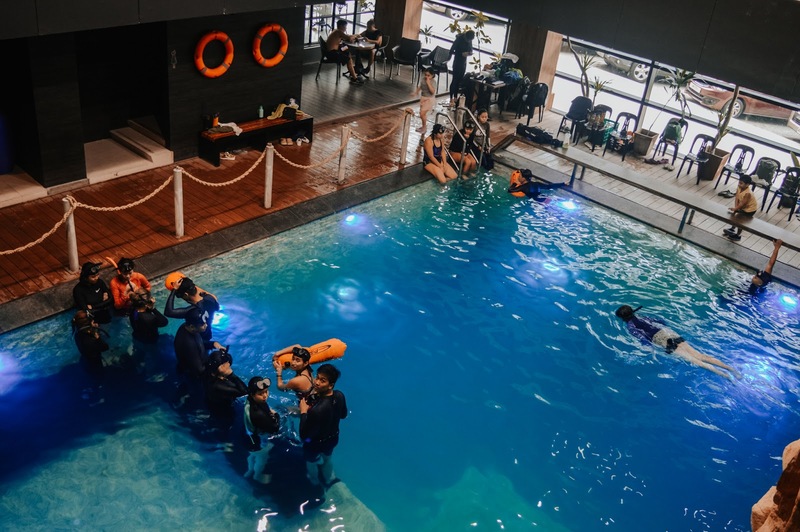 With a great instructor, you will be able to overcome your fears in water. It is never too late to learn how to swim. 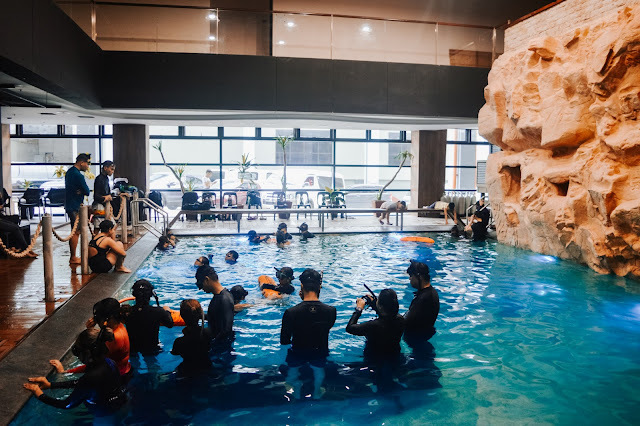 If you never had the opportunity as a child, you can easily how to learn swimming as an adult. 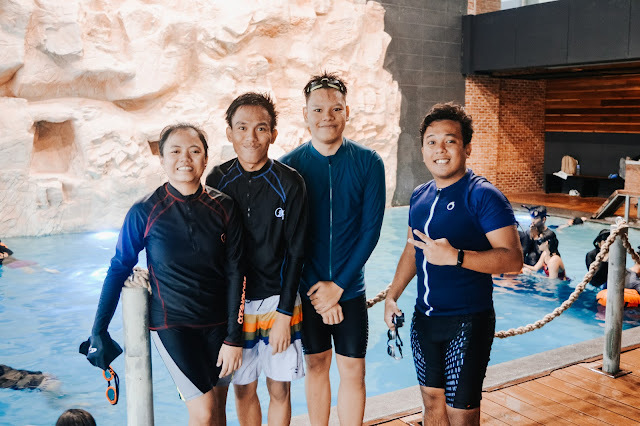 Enjoy the benefits of being good swimmer. For more details, you may email them at divein@swimcentral.com.ph. Follow their Facebook page or visit their website at www.swimcentral.com.ph for promos and updates.